If you are looking for help with your feline family member, you have come to the right place! Welcome! We are not new to the world of cats. In fact, the first cat I trained was a very wild African Wildcat. His name was Ditteaux. He was the world's first feline clone. After successfully working with Ditteaux and conditioning him to being handled for positive public relation events, I trained his very exuberant (and insanely adorable) cloned offspring. All three girls were positively conditioned for public relation photo shoots, medical exams, and basic husbandry procedures. 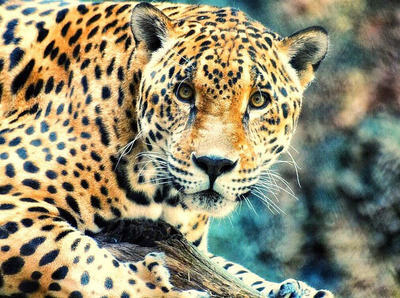 After working with The Clones, I moved onto larger exotic cats such as jaguars, tigers, panthers, and lions. But what in the world do all of these wild cats have in common? They are close kin to your house cat. House cats aren’t that far flung from their feline ancestors and modern day wildcats. But we are treating them as if they are. Companion dogs are considered fully domesticated. Cats are only “semi-domesticated". In fact, the genomes of housecats have changed very little from their wild counterparts. And some house cats still breed with their wild relatives! So where does that leave your feline family member? ... Hopefully in well educated, compassionate hands. I hope that's why you are here; to learn, and to help your "house panther" thrive in a captive environment! I would love to help you and your feline family members to better coexist and understand one another. Whether a feline is a two hundred pound panther or a nine pound house cat, they need an environment where they can THRIVE. Merely existing and coping in captivity is not enough. ​This is why I am so passionate about helping people and cats find the harmony and peace that everyone needs and deserves in their homes. Together we can find a solution! ​Below are some of the feline services that I provide. If any of these services are of interest to you, feel free to contact me. Together we can create a Life with Your Animal Companion, Improved! Adoption is just the beginning. What you do for them for the rest of their lives is what matters. Congratulations on adding a feline to your family! Your home is about to become a place filled with joy, laughter, love, and devotion! There is nothing that compares to falling in love with a feline. Your life will never be the same. As exciting and heartwarming as it is to welcome a new cat into your home, it’s important to recognize that properly caring for him or her means that there are things that need to be considered and implemented right away. Understanding the special considerations for caring for a cat of any age is fundamental to providing a happy, healthy, and harmonious home. Did you know that ALL cats of ALL ages need…. The ability to exercise their natural instinct to hunt? Acceptable outlets for their natural behaviors? To feel safe in and around your home? 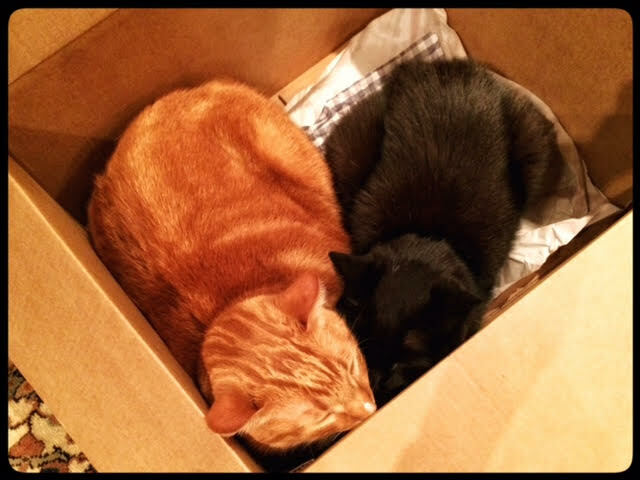 Litter boxes that are spacious, clean, and the right fit for each feline? ASK: Are you prepared to offer your newest family member all of these things? ASK: Do you know how to implement them effectively and on a daily basis? If you are not sure, don't fret! Help is HERE. Together we will identify the needs of both your family and your feline friend. We will create a compassionate, comprehensive plan that will enhance the bond between you and your cat and ensure that your new, exciting life together will remain stress-free and harmonious. Conscious Companion can set you and your family up for success, for life! Think you can't teach a cat to walk calmly on leash? Cats of all sizes, shapes, and ages need physical and mental exercise. One of the many ways that you can do this together is through safe, fear-free cat walks! Conscious Companion specializes in this! We can teach you how to help your feline family member to feel safe and secure on walks with you - inside your apartment building, or outside of your house! We teach you why "consent" is critical, and how to make it a positive experience for you and your feline companion. But kittens and adolescent cats aren't the only ones who can learn how to take a walk on the Wild Side. Even senior and geriatric Cats need to take a safe walk on the wild side of life! You are invited to watch our beloved geriatric cat, King Albert the Grey, enjoying his walkabouts here! Contrary to what most people believe, cats can be trained – quite easily. Cats are highly intelligent and respond very well to training. Most cats enjoy at least one of these rewards: food, touch, play or social interaction. These rewards can be used to modify cat behavior! You can use these tools to train your feline family members to sit, come when called, walk on a leash and many more! As with all of my training methods I am committed to training force free without the use of intimidation or fear. Preparing your Home for a New Cat: Before you arrange to pick up your new kitty companion, you must make sure your house is 100% ready. Your home must be "cat proof”! ​Cat-Proofing: Cats are curious by nature, and they love to climb and jump on top of high places and explore every nook and cranny of the house. When a cat is getting used to his or her new surroundings, he or she will be doing a lot of investigating and exploring. I help you to make sure your home is safe and secure. We will basically go through your home as if you were bringing home a toddler. Cats and Dogs as FUR-ever Friends! MYTH: Cats and dogs will "just figure it out eventually." ​TRUTH: Putting the dog and cat together and hope they get along is one of the worst methods of cat-dog introduction. This rarely works and it's especially dangerous. All relationships take time and effort, but with cats and dogs we must use specific tools and techniques that are based on the needs of each species, and the needs and preferences of the individual animals. Many pet owners have both cats and dogs, but these owners are unaware of what is needed to help everyone coexist peacefully. We can create lasting friendships that create bonds instead of conflict! MYTH: Cats will "eventually figure it out and get along." TRUTH: Tossing cats together and expecting them to "work it out" does not work and it's unfair to both cats. Not only is it irresponsible, but it's dangerous. This approach often create a catastrophe. The introduction process requires specific tools, techniques, finesse and a lot of patience. Proper introduction can open the door to a lifelong feline friendship and keep your home in harmonious balance!. Catification creates feline friendly environments that cater to a cat’s natural instincts to climb, perch, rest, play, and own their space. I teach you helpful tips for enhancing your cat’s environment. Styles can be created that fit your family's style, while helping your feline companion to feel safe and content. Check out these creative examples from cat guardians around the world who have created wonderful, healthy, feline friendly environments in their homes! Catios ~ Patios for Cats! ​"Catios" are outdoor enclosures and patios for cats. Outdoor enclosures are a great way to keep your cats safe, while giving them the option for fresh air, time, and space away from the other feline, canine, or human members of the household. They are also a great way to let your cats enjoy the outdoors, without exposing them to the potential dangers they would face if allowed to roam freely. Catios range from small enclosures to elaborate screened-in rooms. I can teach you how to create your own protected outdoor space for your cats! Check out some of Jackson Galaxy's Catios. Anticipating the arrival of a new family member is an exciting and stressful time for all family members. There are many new emotions that will be shared and experienced by all. Unfortunately, too often our animal companions are not included in this process. Many families believe that the best option is to re-home their cat(s) due to the many changes that are coming, because they do not know how to manage it all. Most are concerned about safety issues to their lack of time. But there is hope! This is where I come in as a licensed Family Paws® Parent Educator. I can teach you about the many proactive steps that can be taken well ahead of time to help things go smoothly when your baby arrives. Management tools are essential to providing a safe and comfortable environment for all members of the household. The Family Paws program was created to make it easy for families to successfully include their dogs as the family grows. Our program helps more pets stay with their families forever! Companion cats out number dogs in the United States, but pet health statistics show us another side to these numbers. The American Association of Feline Practitioners' study found that cats receive far less care from veterinarians than dogs. If you have ever had to "catnap" your fearful feline by shoving her into a kennel, and then listen to her mournful cries during the long car ride to the vet across town, you probably understand why the statistics are true. It can be very difficult to get a stressed-out cat to and from the vet’s office, (not to mention how downright traumatic some veterinarians' offices can be). When going to the veterinarian is this stressful for everyone involved, many cat guardians avoid the veterinary care that their cat needs until the cat's health has become critical. But it doesn't have to be like this, and it shouldn't be. I can help you to learn how to make trips to the veterinarian a smooth, stress-free process for you and your feline family member! I have worked with countless cats, (exotic and domestic) who would do anything and everything to avoid being touched, crated, or transported. I have transformed these cats into willing participants for medical procedures. All of my techniques allow the cat to feel safe, and to have control over their environment. I can teach you these skills. ​We all want to grow old with grace and dignity. So do our cats. It's not easy being an aging feline in most busy households. 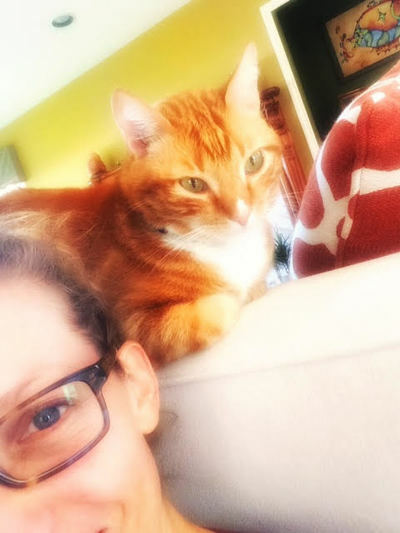 Getting up and down stairs; navigating the litter box; dealing with exuberant kids; dodging dogs; avoiding harassment from younger felines; being alone all day. None of these factors are easy on aging cats. As the companion who cares for your feline family member day in and day out in their senior years, it can be hard on both of you. As the guardian of three senior cats, I understand all too well the challenges that come with age. That's why I am so passionate about caring for senior cats and using the latest and greatest resources available today! I can show you how to set you and your aging feline family member up for success. There are many tools and techniques to help your beloved aging feline friend. 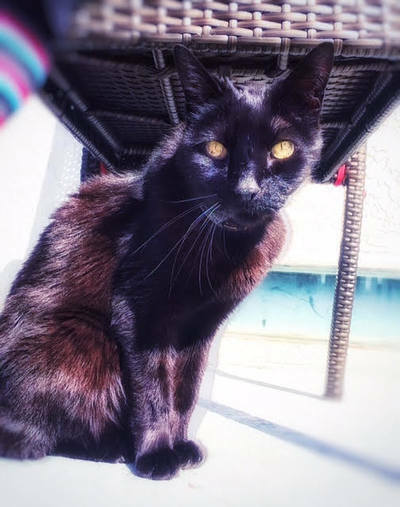 I can shed light on what your options are, how you can implement them, and teach you how to help your senior cat to age with grace and ease. While working for a decade as an Enrichment Coordinator for various animal sections at the Audubon Zoo, I learned that physical and mental stimulation is vital to every species on the plant. This includes cats in homes and shelters! Every feline in captivity needs daily mental and physical stimulation! Environmental enrichment, when used properly, can positively address many behavioral issues. This can be anything from “rowdiness,” cognitive dysfunction, storm and noise phobias, separation anxiety, obsessive-compulsive behaviors, and behaviors that result from the all too common problem in homes: boredom and/or frustration. In addition to treating behavioral disorders, environmental enrichment should be viewed as an essential part of providing an excellent quality of life for all cats due to its proven positive effect on the health and well-being of feline companions. Behavioral enrichment is defined as “the environmental enhancement of the lives of animals in a managed setting by providing them with mental and physical stimulation to increase natural and healthy behavior.” By properly providing this in your shelter, cats are encouraged to engage in natural, instinctive, species-specific behaviors, enabling them to become the purrfect adoptee! Is the enrichment for one animal? Multiple animals? Multiple species? Is there any oversight that should involve the species’ nutritionist or an animal health practitioner? We also need to ask important questions before, during, and after providing enrichment to an animal and a group of animals. 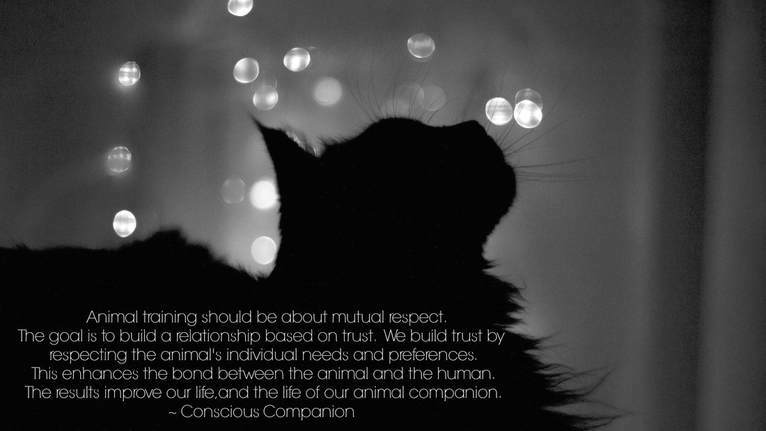 Conscious Companion is an enrichment expert - especially when it comes to the world of cats. Contact us to learn how your shelter can become a leader in feline enrichment! Learn the art and science behind how to enhance the minds and bodies of the cats you care for! Enrichment is as integral to animal care as veterinary and nutrition programs. Animal enrichment promotes naturalistic behaviors that stimulate the mind and increases physical activity. It reduces stress and therefore promotes overall health by increasing an animal’s perception of control over their environment and by occupying their time. Conscious Companion's Cat Clients receive a complimentary Hide-And-Sneak Tunnel! Feline Articles and Must-Know Info! Conscious Companion an active committee member of the Pet Professional Guild's Feline Division. 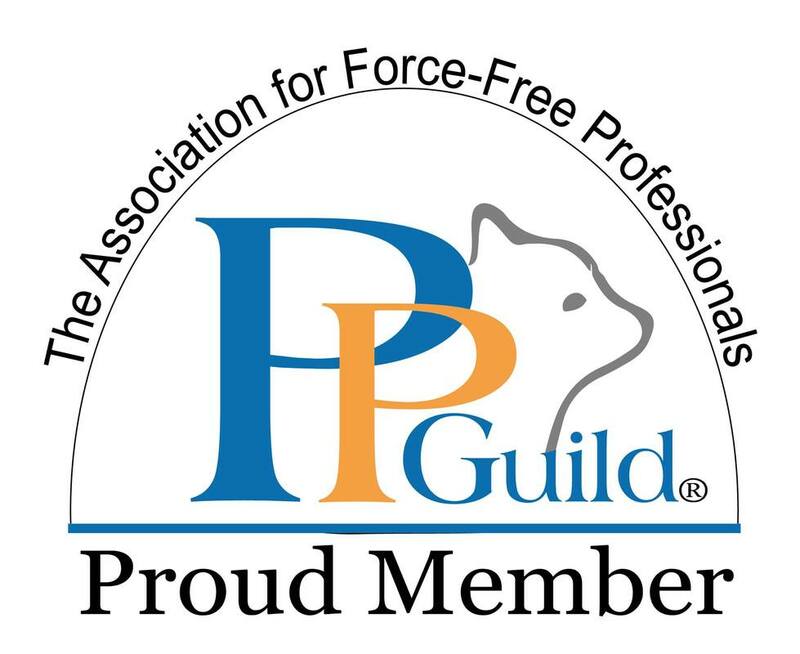 Conscious Companion is an active advisory member of the PPG's Cat Committee.